I saw this spray-painted metal plaque on the sidewalk in Saratoga yesterday. I had the interesting experience yesterday of hearing two people (one on T.V. and the other in person) use sarcasm to make a point. In both cases, it was clear that the person talking felt superior, or better than, the one they were talking about. They were trying to show that they knew more, and were more aware of the “real” situation, than the other. One was talking about spirituality, the other politics. It didn’t matter. Both of these people felt small and a little (or a lot) petty. It certainly didn’t inspire me to feel confident in them as leaders. So, when anything like this happens twice in one day, I always pay attention: I know it is for me. I could hear myself in these two, even though it makes me cringe to admit it. Sarcasm is a bad habit at best. It is a weapon that will ultimately be used on the very one wielding it, to bring them the disgrace, discredit, or unhappiness intended for another. We cannot intend to hurt someone without hurting ourselves. 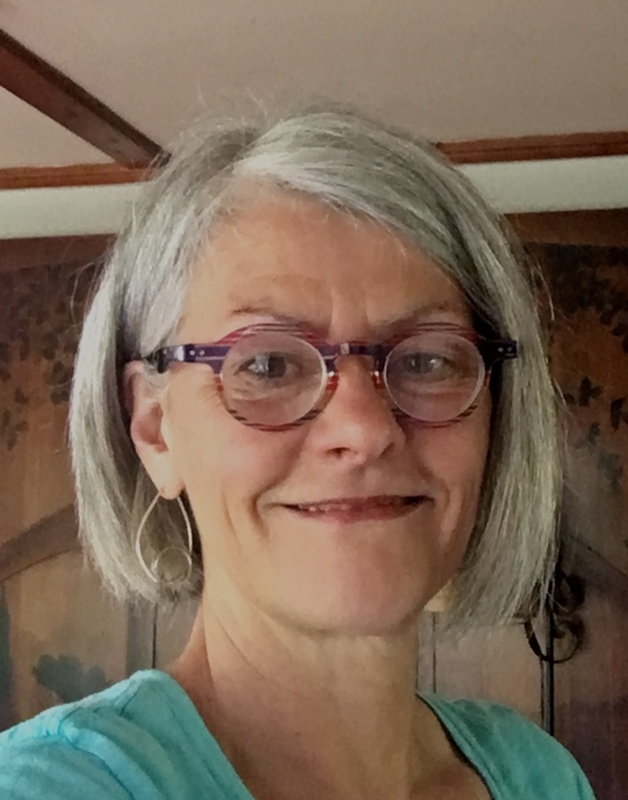 I read a wonderful quote on Debra Saum’s* blog today, “When we tug at a single thing in nature, we find it attached to the rest of the world.” ……… John Muir . I want my “tugs” to be ones of love and harmony, not hate and division. 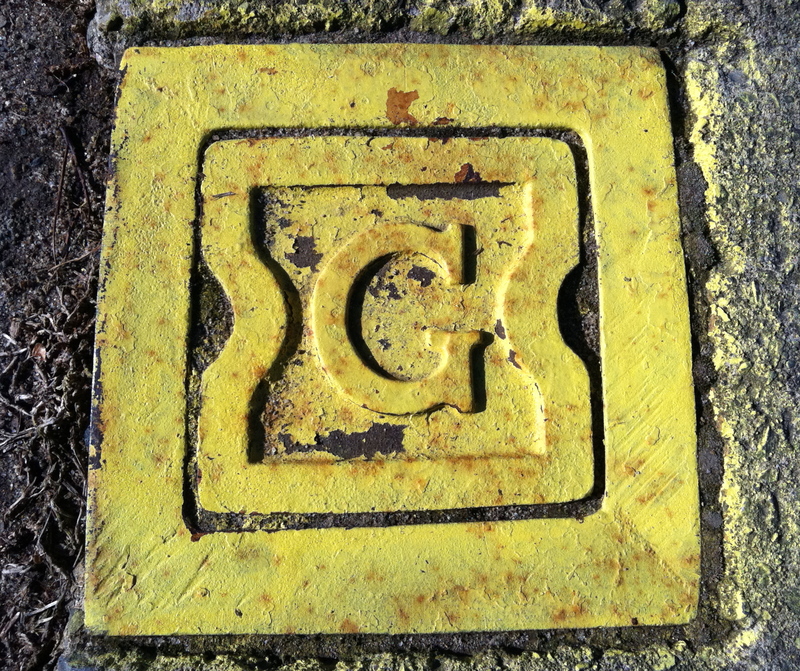 I took a picture of the letter “G” plaque yesterday and thought about all of the wonderful words that begin with the letter G. I invite you to share uplifting words that begin with the letter G. Any language (but if not english, please tell us what language it is, and define it). I am so very Grateful today that this world constantly gives me opportunities to see myself clearer! The first word that came to mind was Genuine. Certainly something I strive to be and appreciate that trait in others. I love the word “genuine.” I think it is out greatest calling to try to live a genuine life. Have a great day! Great post Mary. It’s good to recognize all the great things that make us happy. Thank you catjoefarm for mentioning gladiolas! It just made me smile, imagining those long legged beauties! I grew up in Michigan, and they will always remind me of farmer’s markets and summer. Dear Mary, thank you for the reference to my blog today! I am most grateful for your continued support and your daily words of wisdom. The first ‘g’ word that came to mind for me is god. (a word with so many interpretations). Also goodness since those two words mean the same thing for me. What a wonderful idea….to contemplate all the wonderful ‘g’ words today and allow them to bring me joy and happiness that I can spread around! Gratitude, because when we are being grateful, it is difficult to be negative and critical. Thank you for this exercise for today. A reason why I so appreciated today’s post. There are times I awaken during the night and might stew about falling back asleep. One of my games is to alphabetize things until I drift off; i.e. things in a grocery store, occupations, street names, etc. You have now given me a new option – focusing on one letter and see where it takes me. After a few minutes the g word that came to mind was geek. For such a long time this word did not conjure up positive images but without the geeks of the world we would not be able to communicate as we do today (i.e. internet, blog, etc.). Grandson. He brightens my day. Gorgonzola! My favorite neighborhood restaurant makes the most amazing gorgonzola salad dressing. Now I’m hungry . . .
Also, Glad, Galadriel and Galaxy – I’m going to be thinking of these all day! genuine, gentle, and i liked jacque’s ‘go’. i don’t know if this is accurate, but i’ll pass it on here as it has given me a visual of what sarcasm looks like. It may have come from the latin….meaning, to tear flesh! First my last name begins with G. . .so my family came to mind. . .all those who have come before me, shaping and loving me, whether I ‘knew’ them or not. . . .then the word GRACE came up. . .So much grace has come my way. . I try to whisper a prayer of thanks each day for all the gifts and grace in my life.. . .lastly GARDEN, where I love to be. . .where I feel the connection of all there is and where my soul gets renewed and filled. Galas, gallivanting, gems, golden, gleeful, giving, gorgeous, generosity…. Great list, Monika! Holy Guacamole! I love guacamole too and all of the other great words and ideas everyone else has shared today. Oh this is fun! Checking in a little later this morning, so I am already blessed by all the Good G’s above! Grandson, me too, for sure! and being a Grandma, grace, goodness, gratitude, God and glory, the color green, the word grow!, gracias (which we know means thank-you in Spanish, but they are actually saying to each other “graces” onto you!, nice!) – oh, and German Chocolate Cake. I looked up sarcasm, ever curious about the roots of words, and as Virginia shared above, it will certainly make us think twice next time we come up with a zinger in our fertile minds. Gentleness, such a Gift to another person. The word comes from the Greek σαρκασμός (sarkasmos) which is taken from the word σαρκάζειν meaning “to tear flesh, bite the lip in rage, sneer “. I remembered reading (a long time ago) from one of the Al Anon daily readings about sarcasm that stated – that it comes from the Greek verb “sarcazo” which means to tear flesh. I thought back to the time when I first read that and how I had felt as a child because I was teased or had sarcastic comments pointed my way (usually by family members). The cutting of flesh was palpable. Glad-rags….oops, did I just date myself? As so often, I fully agree. I think it is the very intention to hurt someone that poisons our peace of mind. As to sarcasm…it is usually at the expense of someone else which is never good. What is worse is the double-edged sword of humorous sarcasm, which, when leveled at a child, which I’ve witnessed myself, leaves that child with low self-esteem and unable to ‘read’ what is said to them without looking for a double-meaning somewhere. But, some families operate this way and don’t get it when someone objects to it. One way I’ve learned to deal with it is to ask: are you being sarcastic? It helps to clarify the situation. God Bless Cheryl b.here and now and everywhere! John Muir is one of my favorite persons in the past! GRACE, a Gift Given to me and a Gift for me to Give others. God, grace, goodness, gratitude, gentleness, Godiva!!! Our last name begins with G, so this definitely made me smile. With regard to sarcasm, I read two other passages yesterday (one was Lenten reading, “Holy Island: A Lenten Pilgrimage to Lindisfarne,” by James W. Kennedy) commenting on the hurt that it can cause. It can be a bit like a figurative punch, can’t it. I’ll add my Greyhound Grand-dog to the list of Great words above. “Grati2d!” gurgled the grammar teacher, who had to fit it on her license plate… 😉 Mary, your ideas are such fun!